President of the Syrian Coalition Abdurrahman Mustafa met the Dutch Special Envoy to Syria Gerard Steeghs and discussed with him the war crimes being committed by the Assad regime and the Iranian terrorist militias against the civilians in Syria. The meeting discussed prospects for reinvigorating the UN-led political process in Geneva as both sides stressed the need to work for a political solution in accordance with the Geneva Communique of 2012 and UN Security Council resolution 2254 and achieve a comprehensive political transition in Syria. President Mustafa condemned allowing the Assad regime to take over the rotational presidency of the UN disarmament forum on chemical and nuclear weapons, stressing that it was shock to humanity’s conscience and a ruthless betrayal of victims of the Assad’s chemical attacks, which exceeded 200 ones. President Mustafa warned of the grave implications of Law No. 10 which the Assad regime has issued recently as it allows the regime to confiscate property of Syrian refuges and the displaced people under the pretext of rezoning the destroyed areas. 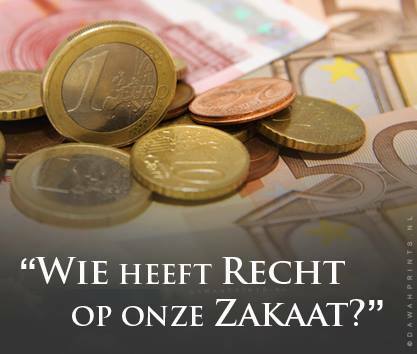 He cautioned that such measure would prevent the return of refugees to their areas of origin. Moreover, President Mustafa pointed out that such measure is aimed at bestowing legitimacy to the mass forced displacement being carried out by the Assad regime as well as its Russian and Iranian allies in various areas across Syria. He underscored that these acts constituted war crimes that are punishable under international law. President Mustafa called for protecting civilians in Idlib province which has became densely-populated especially after the arrival of large numbers of displaced persons from other parts of Syria. President Mustafa stressed that humanitarian assistance needs to be urgently provided to the displaced people as he noted that large numbers of civilians, mostly children and women, are without adequate shelter or food. The Syrian Coalition is working to provide services to the local population in the liberated areas through the Syrian Interim Government (SIG) and the Assistance Coordination Unit (ACU), President Mustafa said. He added that the Coalition is continuing to work on the formation of local councils to ensure real, adequate representation of the local communities. 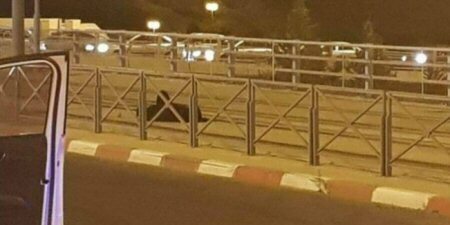 Israeli occupation forces, on Sunday night, shot and wounded a Palestinian woman near the light rail in Shu’fat town, occupied East Jerusalem, under the pretext of attempting to stab a soldier. The shooting was filmed on mobile camera by one of the eyewitnesses, and shows seven Israeli soldiers pointing their guns towards the woman. When she keeps walking towards them, they shot her in the leg and left her wounded on the ground. 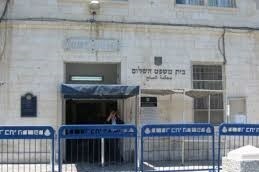 In addition, forces prevented the ambulances from approaching her, despite the injury. The woman was later taken to hospital with moderate injuries, PNN reports. JERUSALEM (Ma’an) — An Israeli court in Jerusalem ruled on Monday to extend the detention of a Palestinian woman who was shot and injured by Israeli border police officers on Sunday night. Khawla Sbeih, 43, was shot by Israeli forces near the occupied East Jerusalem neighborhood of Shufat on Sunday. Israeli media reported at the time that the soldiers shot Sbeih, who was wearing a full head and face veil, for acting suspiciously. Palestinian Prisoner’s Society (PPS) lawyer Mufid al-Hajj said that the court held the session on Monday without the presence of Sbeih, who is being treated at the Shaare Tzedek hospital in Jerusalem for a gunshot wound to her leg. The court extended her detention until Sunday, June 3rd. 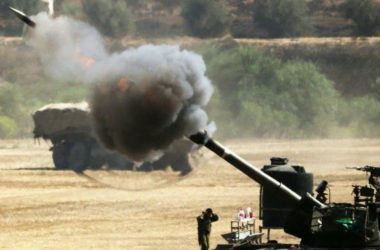 A Palestinian man was killed on Monday, and another critically injured, in an Israeli artillery attack on a location to the east of Beit Lahiya town, in the northern Gaza Strip, said the Ministry of Health. Mohammad al-Radee, 25, was killed in the attack that targeted with at least two shells a site to the east of Beit Lahiya town, according to WAFA. The ministry said that the injured man, who was not identified, was in critical condition. The Palestinian Health Ministry in Gaza has reported, Monday, that a young man died from serious wounds he suffered several days earlier, after Israeli soldiers shot him, during the ongoing Great Return March, in northern Gaza. Dr. Ashraf al-Qedra, the spokesperson of the Health Ministry, said the Palestinian has been identified as Nasser Abdul-Rauf al-‘Ereini, 28. Dr. al-Qedra added that the Palestinian suffered very serious wounds by Israeli army fire, on Palestinian lands, east of Jabalia, in the northern part of the Gaza Strip. The Palestinian was rushed to the Indonesian hospital, in Beit Lahia, also in northern Gaza, where he succumbed to his serious wounds. On Sunday, a Palestinian who was critically injured during a predawn Israeli strike on several locations to the south of the Gaza Strip died of his serious wounds. Dr. al-Qedra has confirmed that the Palestinian, Naseem Marwan al-‘Amour, 20, from Rafah, has died from his serious wounds. He added that the young man suffered very serious wounds and was rushed to surgery at the European Hospital in Gaza, but later succumbed to his wounds at the Intensive Care Unit. Al-‘Amour was injured when Israeli forces stationed along the barbed-wire fence that separates between Gaza and Israel fired at least two missiles targeting a location between the cities of Rafah and Khan Younis, killing two Palestinians, identified as Hussein Samir al-‘Amour, 22, and Abdul-Halim Abdul-Karim an-Naqa, 29. On Saturday at dawn, May 26, a Palestinian man, identified as Hussein Salem Abu ‘Oweida, 41, died from serious wounds he suffered after Israeli soldiers shot him with live fire, several days earlier. On Friday, May 25, another young man, identified as Yasser Sami Habib, 24, succumbed to wounds sustained from Israeli army gunfire during the protests on May 14. 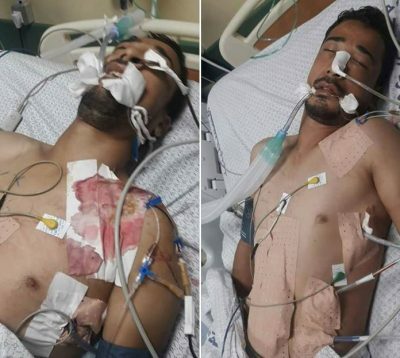 Two other Palestinians, identified as Ahmad Ali Qattoush, 23 Mohannad Bakr Abu Tahoun, 21, who were injured, during the protests on May 14, also succumbed to their wounds on Thursday evening. “We, the detainees of Building D1 of the Fleury-Mérogis prison, decided to block the exercise yard in support of the Palestinian people who have demonstrated on multiple occasions to try to break the blockade imposed by Israel, against the installation of the American embassy in Jerusalem on the 70th anniversary of the Nakba, and to assert the Palestinian right to return. Even if we are deprived of liberty, we wish to protest against the massacres in the Gaza Strip committed by the Israeli government and show our solidarity with the 61 Palestinians killed by the colonial military forces (including 8 children and 1 baby) and 2,400 injured. Just like the Palestinians, who have made Palestine a symbol of dignity and longtime struggle, our demonstration is a peaceful protest without violence and hatred. Because Fleury is the biggest prison in Europe, we want to express our solidarity with Gaza, the biggest prison in the world! “Nous, détenus du bâtiment D1 de la maison d’arrêt de Fleury Merogis, avons décidé de bloquer la cours de promenade en soutien au peuple palestinien qui manifeste depuis plusieurs jours pour tenter de braver le blocus imposé par Israël et contre l’installation de l’ambassade américaine à Jérusalem, à l’occasion des 70 ans de la Nakba et pour faire valoir le droit au retour des palestiniens.